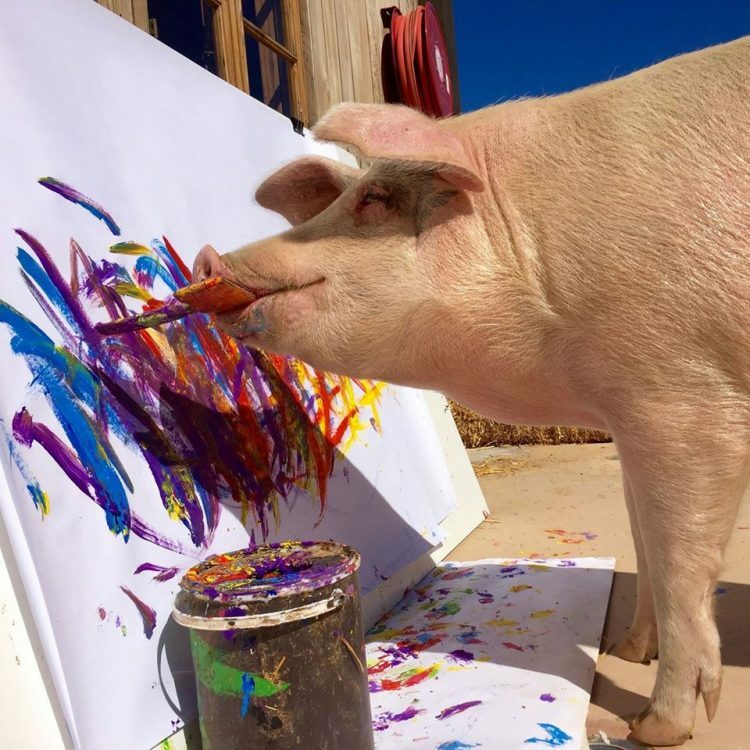 If you ever find yourself having to convince someone that anything is possible, just tell them about a Pigcasso, a 450 pound (204 kg) pig who, after being rescued from a South African slaughterhouse at four weeks old, went on to become an acclaimed painter. South African animal-rights activist Joanne Lefson adopted Pigcasso after rescuing her from a grim fate at the slaughterhouse, a couple of years ago. She took the animal back to her farm and offered her a variety of toys to keep her entertained. Among those toys were some paintbrushes, and the pig became so fascinated with them that she ignored all her other toys. Lefson decided to leave out some paint and canvas as well to see what the animal would do. Believe it or not, she started painting.